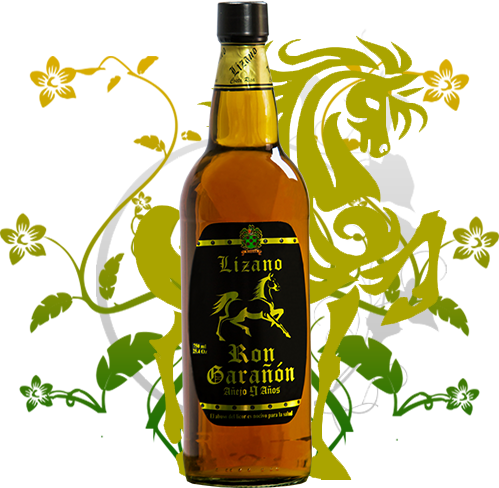 AGED RUM | Licores y Cremas Lizano S.A. It is a 76 proof rum. This is the results of sugar cane juice that has been fermented by much selected yeasts. Afterwards, it is distilled and aged during nine years in small burned red-oak barrels. This settle has given to the ferment through time, a unique balanced bouquet that positions it in a place of excellence. It has a fresh fruity flavor that makes us remember the novelty of the red oak spirits with its natural components that have been imparted through time. These have given this rum the body, texture, frothiness, elegance, aroma and unimaginable color. Men that project their masculinity, strength, sensibility and good taste prefer to drink rum of a known generation.